Real estate & Commercial law, family & divorce law, criminal law, motor vehicle & Business purchase & Sale, wills, powers of attorney. Over 75 Years Specializing in Personal Injury, Medical Malpractice, Class Action Litigation, Planning & Environmental Law, Family, Matrimonial, Education, Commercial, & Employment Law. Call Us Today. Let over 35 years of experience work for you! Free initial consultation. Specializing in real estate law, wills and estates, corporate and commercial law, and civil litigation. WV known for working strategically with our clients, using our knowledge and experience to provide prompt, practical and cost-effective solutions. York Region's leading Business and Tax Law firm..
With over 30 years criminal law experience, working hard to present your criminal defence. Mitch's team knows how to ease the pain of personal injury with highest settlements paid. Call the lawyer other lawyers turn to. Torkin Manes is a full-service law firm for clients who want results. Our clients tell us what they want to achieve and it’s our job to assess their legal needs—quickly. Specializing in Family Law, Divorce and Separation, Child Custody. If you have questions, we have the answers. Call us today for your personalized action plan to your legal issues. Morse|Shannon LLP is a specialty law firm of expert trial lawyers practicing personal injury and commercial litigation. Injured in an accident? It's important to have a good law firm representing you so that you can obtain the compensation that you are entitled to. Speak to one of our experienced lawyers today. Real estate, business, wills & estate planning.Hands on, traditional lawyers since 1978. Denise Badley specializes in Family Law, Wills and Estate and Real Estate Law. Call to speak to someone today. Helping Your Ideas Take Flight. We help clients develop, protect, acquire and commercialize all types of intellectual property and technology. FOR OVER 30 YEARS, LAWRENCE GEFFEN HAS BEEN PROVIDNG LEGAL SERVICES INCLUDING FAMILY LAW, REAL ESTATE, WILLS & ESTATES. For more than 35 years, Goldman Sloan Nash & Haber (GSNH) LLP has helped leading businesses, entrepreneurs and individuals successfully navigate the maze of corporate & commercial laws. Practicing criminal law for over 37 years. established lawyers serving the community since 1979. At McMaster, McIntyre & Smyth, LLP, we put sincere passion into everything we do. We have been serving clients in Toronto and throughout the Greater Toronto Area since 1902. Hotel disputes: do you know your rights? 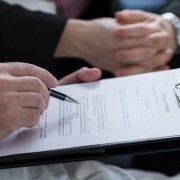 Writing up a will, understanding your rights when facing a legal matter, appraising your estate, referring to a legal aid office for professional advice – sooner or later, we run into common life situations that require the expertise of lawyers or of a top law firm. Do you know who to turn to when seeking an attorney? Do you know what kind of law offices you need? Do you know what type of law practice your area or province offers? Referrals: Going through a legal matter can be a very intimate and personal experience. Your close acquaintances and family members would be the first people to refer you to attorney law firms in Toronto ON. Depending on your legal needs, a trusted business partner or colleague can also send you in the right direction. An option would be to consult lawyer referral services that are equipped with a law firm directory that can send you to the appropriate lawyer firms. Meet a lawyer: Most lawyers offer a free 30 minute consultation service to figure out if they can help you. Once they’ve understood the kind of legal advice or help you need, they must establish if they are the most qualified person for the job. If you don’t feel comfortable after the consultation, move on and consult the law firm directory for more options. Types of law: Establish the type of law your lawyer specialises in order to deal with your legal issue. Dealing with a divorce or child custody means dealing with a lawyer that practices family law. If you need to deal with a legal matter in the province of Québec you must consult the services of a lawyer that is licensed to practice civil law whereas in the rest of Canada you need a solicitor that specialises in common law. Sometimes you can find a lawyer that practices both types. Background checks: Once you’ve settled on a lawyer’s expertise and services, ask yourself the following; is the lawyer currently providing any legitimate legal services? Are there any restrictions on the lawyer’s practice? Is the lawyer’s licence currently suspended? A quick call to your provincial law society (or governing law board) will be able to answer your questions. When can you sue for unpaid wages?